Albany has now been listed as the 66th Oregon city to prohibit licensed recreational marijuana facilities. Now that Albany is on the list, 66 Oregon cities have taken the local option and banned licensed commerce in recreational marijuana. Sixteen counties have done the same. So the next time somebody goes to the trouble of initiating a major law change, he’ll want to do it by amending the state constitution instead of merely passing a law. The Oregon Liquor Control Commission on Monday updated its list of local governments prohibiting licensed marijuana facilities. The Albany council passed its ban on Dec. 7, and the city manager told me on Dec. 24 he would notify the OLCC that day. Evidently he did. Oregon voters passed Measure 91 in 2014 to authorize, among other things, state-licensed recreational marijuana farms, processors and shops. But because it was a change in statute rather than the constitution, the 2015 legislature got a chance to change it. Lawmakers gave local governments the option of contradicting the statewide election result by banning the growing, processing, wholesaling and retailing recreational marijuana. Only in counties like Linn and Benton where less than 55 percent of the voters opposed Measure 91, would voters get to decide on any local bans in the 2016 general election. In the other counties, county boards and city councils could impose the ban on their own. Say what you will about the wisdom of the local option in the marijuana business, I think it will cause future sponsors of widely popular initiatives to forget about trying to change the laws. They’ll try to amend the constitution instead, with the result that local politicians will be barred from monkeying with what the electorate as a whole has passed. I guess that is one way of saying Albany voted in favor of M91. We had less than 55% voting against it. According to the info, Benton County has not banned it nor placed it on the ballot. 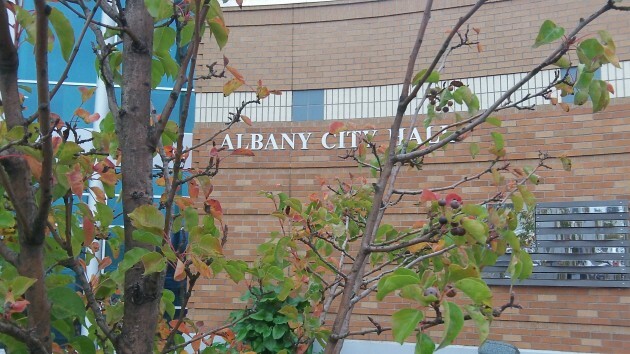 Albany voted in favor of M91, yet the city council chose to disregard the voters. It’s a perverse turn of language saying local governments can override what the people voted for. I think we all knew that with the mayor against the initiative, her monkeys juggling in the corner would come up with someway, ANYway to stop what we, the people voted in to law.